The mighty rivers of Punjab are the reason why civilisation exists — and has for thousands of years — in this region. When I was a child, during every monsoon, the Chenab — the river of love — would break free from its banks and flood agricultural fields around it. While crossing a bridge spanning the river in Punjab, I remember feeling a strange sense of helplessness to see water as far as the eye could see. It was hard to tell where the river ended and the flooding began. The floodwater used to be spread over kilometres, destroying everything in its wake, but also leaving behind it seeds of life — fertile soil — as the water receded. Now as I pass over the same bridge, the mighty river of the past flows meekly under the bridge. Its banks are at least a couple of kilometres wide. Long gone are the days when it would break out of its confines and occupy a greater expanse of land. With ample rain, the river just about manages to fill its banks. Environmentalists have been talking about Pakistan’s shrinking rivers for many years now. All of Pakistan’s major rivers, including the Indus, enter the country from India. Many nationalists claim dam building projects across the border limits the flow of water into Pakistan. This narrative gained further credibility when in November 2016, Indian Prime Minister Narendra Modi threatened to cut the supply of water flowing into Pakistan from India. The Indus Waters Treaty of 1960 divided the shared river network between India and Pakistan. While India was given rights over water from the Beas, Sutle, and Ravi rivers, Pakistan gained rights over the Chenab, Jhelum and Indus. The Sutlej has given birth to several cities that have survived decades, centuries and even millennia in some cases. 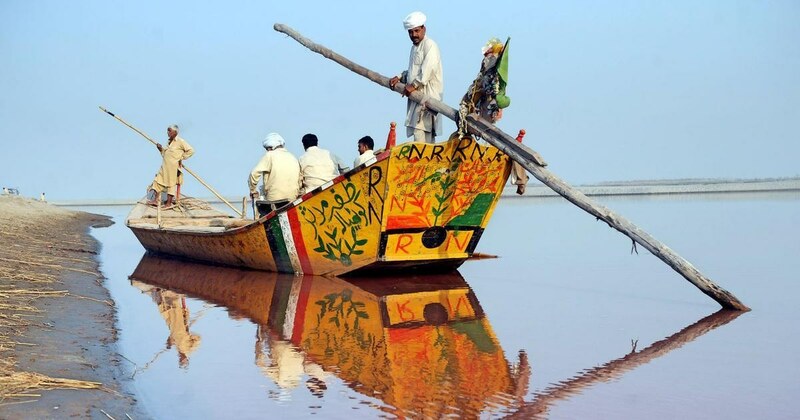 For example, just where the Sutlej enters Pakistan is the historical city of Kasur, the city of the Mughal-era Punjabi Islamic philosopher and Sufi poet Bulleh Shah. According to legend, the city was founded by Kush, the twin brother of Lav, who founded the city of Lahore. In Hindu mythology, they are the children of Ram and Sita. Historical records suggest that Kasur was established in the 16th century by Afghan migrants who came with the forces of Babur the Mughal. A little further south is the city of Kanganpur, named after a mythological Hindu princess, Kangna. Her father, the king of this region, was defeated by the forces of Arab general Muhammad Bin Qasim. According to legend, Kangna’s brother, Maha Chawar, was taken back to Arabia by Qasim when the defeated king could not pay a war indemnity. The young man converted to Islam there. When Maha Chawar returned home, his new religion was unacceptable to his father. The king and his advisors subsequently planned to murder him. But Kangna found out about the plan, warned her brother and fled with him along the flow of the river. The king’s men intercepted the princess and the prince close to a village called Mandi Borewala, where they were murdered. A shrine to commemorate the early martyrs of Islam came up here later. 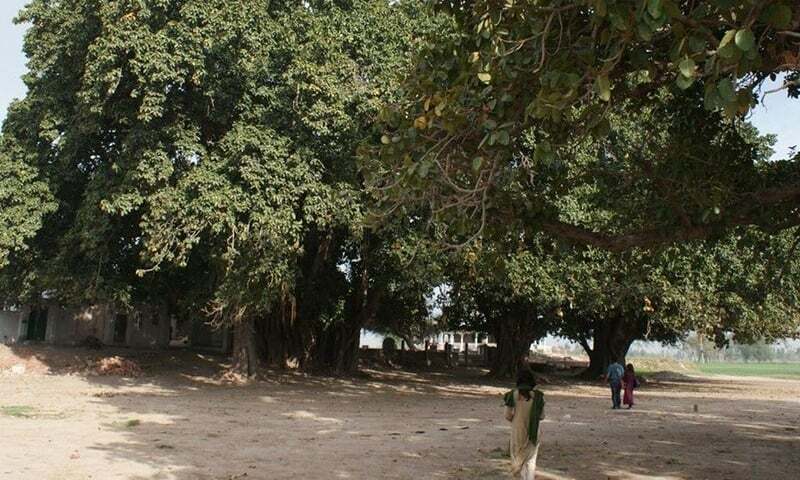 Along the way, on the disappeared bed of the Sutlej river is the city of Pakpattan, which sprung up around the shrine of Baba Farid Shakarganj. The city’s name — meaning a “sacred ford” — is derived from the river. Born out of this lost river of Punjab, the city continues to grow as the shrine of the 12th century Sufi saint is a major attraction. West of the Sutlej is the Ravi, which enters Pakistan close to Kartarpur Sahib, the final resting place of Guru Nanak, the founder of Sikhism. Here, Guru Nanak tended to his agricultural fields for 17 years. Locals still believe that the Ravi floods its banks every few years to pay homage to the shrine of Guru Nanak. Ravi also gave birth to Lahore, the second largest city of Pakistan. Once known as the city of gardens — laid out by numerous Mughal kings, queens, princes and princesses — Lahore became the centre of power for Maharaja Ranjit Singh (1780-1839) as he laid the foundation of the Khalsa Empire. Under the colonial regime it became the symbol of the empire. It still is Pakistan’s most important political centre. About 200km from Lahore are the remains of Harappa, one of the most important cities of the Indus Valley Civilisation. While another city, Mohenjodaro, came up around the fertile lands of the Indus river, it was Ravi that gave birth to Harappa. Without these rivers, there never would have been an Indus Valley Civilisation. A quick glance at the map of Punjab shows that all the province’s major cities exist in the shadow of one of the five mighty rivers that flow through the plain. A little further south from Harappa, is Multan, the city of saints, the city of Hiranyakashipu and Prahlad. 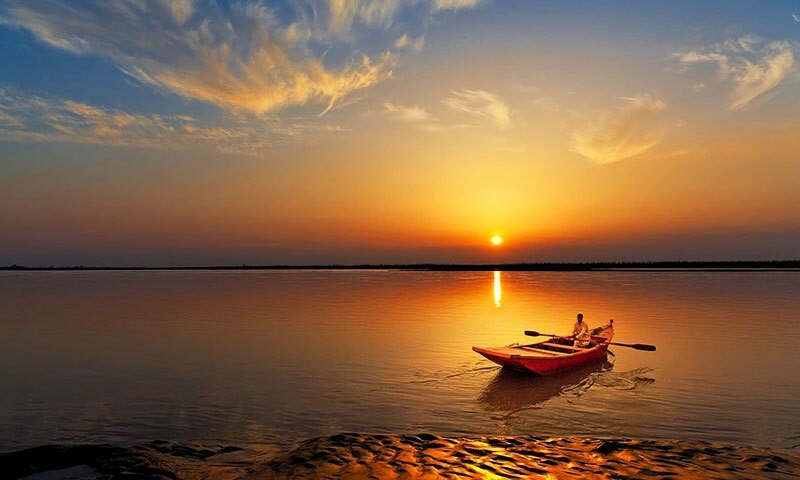 It is located on the banks of the Chenab river. Many local historians conjecture that Multan, along with Peshawar, might be the oldest living city of Pakistan. Also on the banks of the Chenab is Sialkot, the city of Raja Salwan and his son Puran Bhagat. Gujrat, the Mughal city that became the gateway to Jammu, lies on the other side of the river. Further south is the village of Takht-Hazara, from where it is believed Ranjha — of the Heer-Ranjha legend — originated. Traveling along the river, Ranjha reached Jhang, the city of Heer, where today both of them rest in one grave, their shrine visited by hundreds every day. River Jhelum divides Potohar region from Punjab. It is on the banks of this river that Alexander of Macedonia fought with King Porus in 326 BC. Over 1,800 years later, the Pashtun king, Sher Shah Suri, constructed his strategic Rohtas Fort west of the Jhelum river. 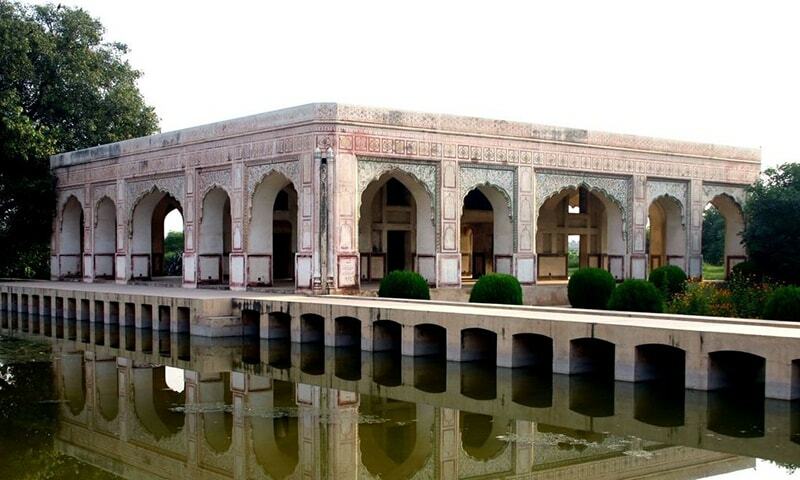 There is also a Sher Shah Masjid in the ancient city of Bhera downstream of the Jhelum. This city was once the hub of Buddhist learning in the region and continued to be a major political centre for long until it was overshadowed by other cities in Punjab. Further west, all these rivers merge with the Indus one by one, as if paying homage. Indus is what gives India its name. It is the grandest river that leaves several cities in its wake — Mianwali, Dera Ismail Khan, Sukkur, Larkana, Sehwan, Hyderabad. Thus, several cities in Pakistan owe their existence to the mighty rivers of Punjab. These rivers are the reason this civilisation exists and has existed for thousands of years. What then would happen if one day these rivers cease to exist, as is being predicted? Pakistan is a water scarce country. Its rivers are drying up. How long would these cities survive if their very source of origin dries out? The article was originally published on Scroll and has been reproduced with permission. I wait for Haroon's blog. It is always informative. His blogs increase my curiosity to visit Pakistan once in life. There is rapid glacial warming in the Himalayas and reduction of water levels of all rivers emanapating from Punjab and Indian Kashmir ! Its hightime that India--Pakistan--Bangladesh start water conservation now--millions of tons go to waste in Arabian Sea and Bay of Bengal !! which helps Gulf Oil Tankers to fill their ships with fresh water and return to Gulf.Maybe desalination plants will help and Israel and Australia are world leaders in this. I believe India already negotiating with Israel for help in this field ! Just a suggestion ! Nice write up. But 70% of rights given to India in the treaty is void. Then why India should adhere to this treaty? Instead of opposing and disputing everything India does, Pakistan and India should cooperate on building dams in both countries to tap the maximum amount of water and electricity from these rivers and share these boons equitably. It is a question of mutual survival, "United we stand, divided we fall." There is enough there for both countries if they choose to use it judiciously. In India also big rivers are under heavy pressure of population and industries. Lack of managements these lifelines are fading fast. This is a huge environmental and ecological challenge for Pakistan. While people are busy fighting over who is "traitor" and who is "patriot" in Pakistan, such monumental issues, it seems, are very conveniently and negligently ignored. I am sure, like me. most of you must have seen these mighty rivers majestically flowing through Pakistan but now they are increasingly shrinking and dying. Don't you think we should start thinking and talking about such issues too? Well written and very informative and facts. Not sure if it is coincidental or destiny but wherever you have Mughal and arab foot prints, that place turned to be a desert. Look at the entire area from Saudi Arabia and until north part of India. India without Indus river is not good news for everyone living in Iraq, Iran, Afghanistan, Pakistan, India and Bangladesh. But let me tell you, nature will fix it if humans don't correct themselves. Pakistan has lost trillions of trillions of gallons of water in the sea since partition. That water is gone. More water wasted in the sea every movement. Millions of gallons/tones of sewage dumped in rivers. That water is wasted - not fit for drinking. Wake up wake up wake up. Still it is not late. There is a statement in the blog that says "Modi threatened to cut water flowing to Pakistan". Modi never made such a statement. Neither as Chief Minister of Gujarat nor as Prime Minister of India. Matter of time before Punjab (both in Pakistan and India) turns into a semi-desert. Pakistan and India should consider copying China's ONE-CHILD policy for a period of 25 years. Your articles are rich in experience and facts. A well informed and informative article raising serious concern for the future. The water issue affects the poor the most. It will be a while before it hits the rich elite who will then perhaps start to leave the country, blaming it on poor management. A very well-written article. It's important to remember the past so we can live in harmony in the future. Whether today we are Muslim, Hindu, Buddhist or Sikh, our origins as people of modern-day Pakistan and Northen India converge on the mighty Indus Valley civilization. Let us never forget. Excellent piece. Your work in highlighting the history and landscape of the region is brilliant and much appreciated! Thanks Haroon and Dawn for such an informative article. Let me add another mighty river, Saraswati, mentioned in Hindu scriptures and rituals. It originated in Himalayas and flowed thru Punjab, Rajasthan, Sindh and reached port of Dwaraka before merging in Arabian sea. On the banks of Saraswati, Vedas were written. Due to earthquakes, the flow of water stopped from Himalayas and the Saraswati disappeared from Indo Pak. The dry river beds of Saraswati can be seen from aerial photo graphs. Hope human being do not create similar situations. As once one of the Pakistani minister complained that India takes electricity out of the water before it reaches Pakistan. Some people always complaint without finding the truth. @edward singh "millions of tons go to waste in Arabian Sea and Bay of Bengal !! which helps Gulf Oil Tankers to fill their ships with fresh water and return to Gulf"
Gulf oil tankers take water from Arabian sea to the gulf? Maybe you need some fresh water yourself. Demand for natural resources exceeds supply ... India's rivers are running dry too. Population explosion has not been controlled by countries in the subcontinent. China has done well in population management. According to India - No water belongs to Pakistan hence why 400 dams being built over the space of 5 years. There is a water crisis already in Pakistan. Agree, that Pakistan's cities are dying but who is to blame. It can be summed in 3 i.e Population, Pollution and Education. After knowing all this shouldn't Pakistan have better relation with India. Pakistan should remember all these rivers originates from India and has upper hand over Pakistan and it's mightier. @marcus India is giving us our share of water as per Indus Water Treaty. As long as Pakistan get's it's share of water Indians can build any number of dams. The fact is we have built just 2 dams in 70 years and have no water management system.